The Adoption at the Movies contest generated lots of movie recommendations. I hadn’t heard of this one before. Disney Animation Selection Volume II is a collection of several Disney cartoons (I don’t think I noticed Mickey or Minnie in any of them…). 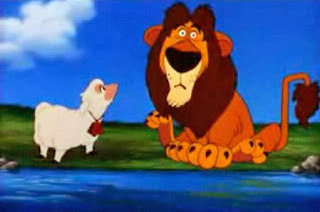 Most of the stories seem to be connected to “The Three Little Pigs,” but one of the stories is about Lambert, a lion who was mistakenly delivered to – and subsequently raised by – a sheep. Lambert is teased by the other sheep, and is frustrated by his inability to look, act, or sound like a sheep. However, one day a wolf corners Lambert’s mother. Lambert goes into “Lion Mode” and defends her. In doing so, he wins the esteem of his peers. Lambert genuinely struggles to fit in with the sheep. He is mocked and ridiculed, and kids might resonate with this – either from their own experiences or from their own feelings. 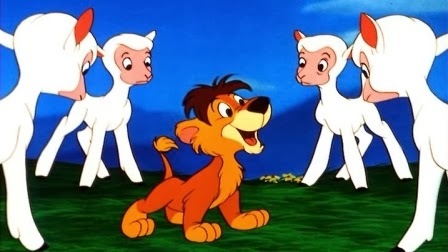 Here’s what I love about this movie: Lambert becomes part of the flock because he remains a lion. The strength inherent in his unique identity adds significantly to the flock. The circumstances which led Lambert to his mother reflect a negative road to adoption. He was accidentally brought to her, and then left by an uncaring authority figure who views himself as “just a delivery man.” This could be confusing or hurtful to some kids. Although they eventually change their tune, Lambert’s peers are very cruel to him and mock him. Young children might be hurt or saddened by this, but might not “remember” to feel better when Lambert is accepted. I also struggle with the fact that Lambert’s acceptance is brought about by an act of bravery; I’d rather that he’d have been accepted just on his own merit. I wrote about this a while back in my review of The Hobbit, if you’re interested to read it. It’s a ten-minute cartoon that you can get on a $5 DVD from Amazon, so it’s not a big investment of time or money. And I think it’s worth the investment. 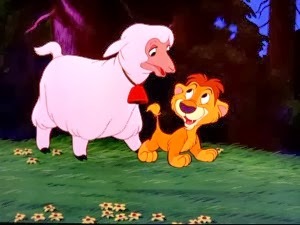 There are some things to process with your kids, but the overall message – though perhaps somewhat flawed – is that Lambert is both part of the sheep flock and a lion. Like Man of Steel, this short film captures the important truth that adoptees can create a holistic identity that incorporates their first family and their adoptive family. Give it a look. Why did the other sheep tease Lambert so much? 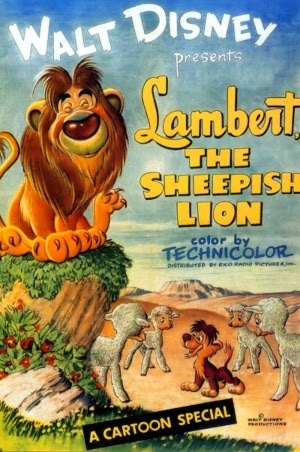 How was Lambert “being a lion” helpful to the flock of sheep? How do you think kids really get put into families? A stork? Some other way?